Every player in the flow of food from farm to fork has some degree of responsibility for food safety, as an operator you are the last line of defense before food reaches the consumer. Because of this, you have a significant share of the responsibility for ensuring safe food and this begins even before the delivery of food arrives at your door. Transporting food products safely and efficiently from the supplier to the designated foodservice operation requires a long list of procedures, partners and processes. In other words, there is plenty of opportunity for error. According to a study that was conducted by the Environmental Health Specialists Network (EHS-Net), two out of three managers said their restaurant had rejected shipments of leafy greens (lettuce, spinach and cabbage) because the greens looked bad (wilted, moldy, dirty, or rotten), smelled or tasted bad, were not in the right temperature range or were missing a required product label. In addition, over half of all leafy greens shipments were not delivered at the right temperature (41°F or below). This is dangerous because greens shipped and stored above 41°F could support growth of germs that lead to foodborne illness. While distribution is just one component in the food safety chain, the safety and quality measures taken by your suppliers are just as important as the food safety procedures you follow once you receive the food. The journey that food takes from field to fork can be thousands of miles, with many stops along the way. 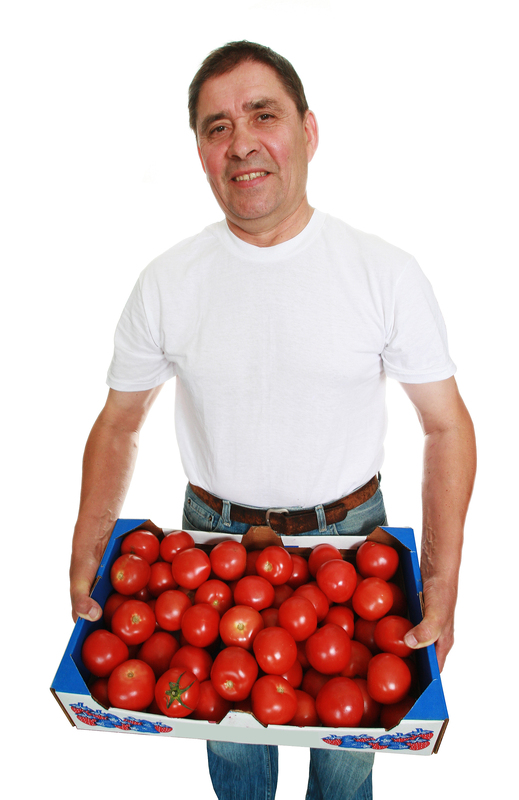 What food safety fundamentals are built into your facility and into your delivery trucks? Food safety works best when it is built into the overall design of both the facility and the trucks. This includes having sufficient capacity for dry and refrigerated food products. What type of monitoring system do you have in place? Large facilities should be equipped with monitoring systems that track temperatures within each zone around the clock. Should a temperature go above or below the target range, the system sends a message (via email, text, or phone) to the warehouse manager so the situation can be corrected. How do you ensure proper first-in, first-out product rotation at the warehouse? Product rotation at distribution facilities should be tracked and carefully managed. As each pallet of product is received on the dock, it is assigned a bar code and a unique ID number that describes the contents. When the slot for that product becomes empty, warehouse staff will be directed by computer as to which pallet to insert next to ensure first-in, first-out accuracy. Who inspects incoming product for quality? Distributors should have trained personnel inspecting the quality, condition and temperature of inbound products—especially perishable items. 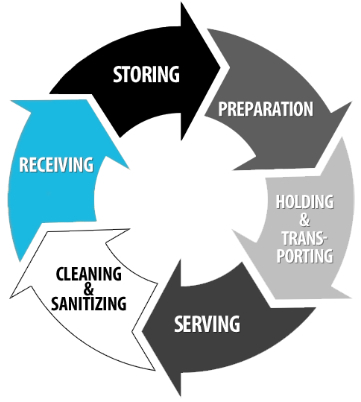 It is highly recommended that foodservice operators visit their approved vendors to ensure that they are maintaining clean warehouses, up to standards delivery trucks, adhere to safe storage and handling practices and have a secure facility to minimize intentional contamination. As a foodservice operator, you are ultimately responsible for partnering with approved vendors and suppliers to ensure that you are serving the safest food to your customers—your responsibility begins even before the food is unloaded from the delivery truck and the invoice is signed.